Jordan Kaye and Marshall Altier present their new book "How to Booze" at powerHouse Arena. With cocktails. 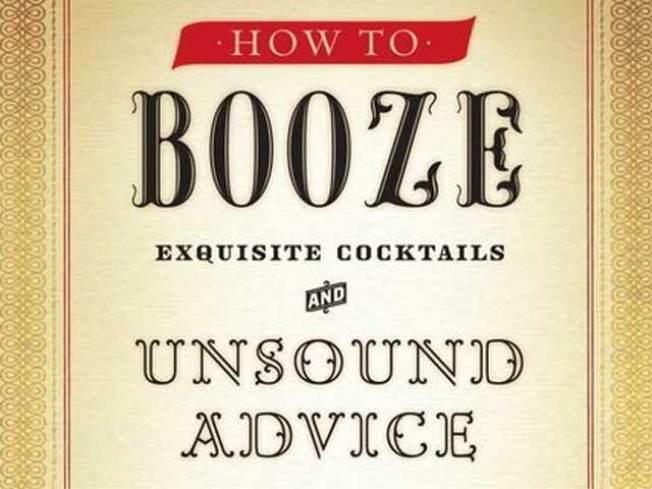 STIRRING: As classic cocktails continue to Have a Moment in our collective consciousness, Jordan Kaye and Marshall Altier hop on the bandwagon with their just-out “How to Booze” (HarperCollins), a mixology tome that brings together recipes and witty advice on when best to imbibe each. The authors come to the powerHouse Arena to talk shop and even mix up some highlights for the parched crowd. 7PM. HANGIN’ ON: Diana Ernestine Earle Ross, at 66, has left an indelible mark on pop music and could justifiably be putting her feet up and eating bonbons all the livelong day. But no: She’ll be at Radio City tonight in a stop on her current "More Today than Yesterday" tour, which sees Ross celebrating all of her greatest hits. Second only to the thrill of hearing those is getting to count the number of costume changes and muse on all the crystals, rhinestones and sequins weighing down the Rockettes’ stage. 8PM. SCHOOL’S IN: By now, the annual Joey Ramone Birthday Party is a much-loved and-respected tradition. This year marks the event’s 10th anniversary, and a full marquee of music notables – from Hank III to Morningwood to(of course) Richie Ramone, with Steven Van Zandt doing MC duties – will be in attendance, rocking the Fillmore at Irving Plaza on what would have been the punk icon’s 59th birthday. Even though the guest of honor succumbed to cancer in 2001, expect the atmosphere at this bash to be joyful in the extreme. 8PM.